A 4mm long Australian stingless bee, Tetragonula carbonaria. 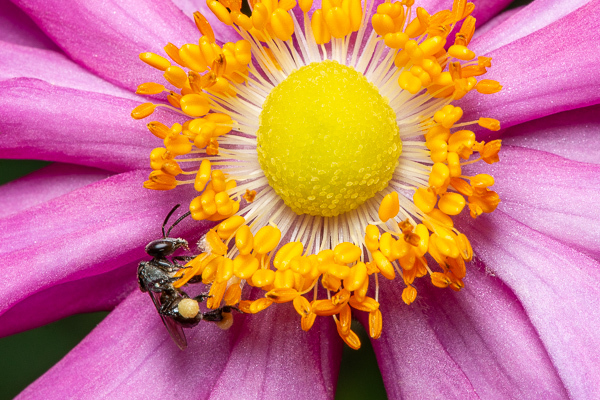 Native bees play such an important role in the pollination of our native flora, many of whom depend on this tiny worker bee. I found this little treasure covered in pollen from the anemone flower in a friends garden.